The Friars Club, through their charitable arm The Friars Foundation, today announced the honorees for the first-ever The Lincoln Awards: A Concert for Veterans & the Military Family. The event will be the first of its kind to recognize outstanding achievement and excellence in providing opportunities and support to our nation’s veterans and military families. The Lincoln Awards will be presented in Washington D.C. on January 6, 2015, by The Friars Foundation, of which the Chairman is Ambassador Joseph Zappala. The event takes place over the course of two days with honors awarded in 10 categories. The honors ceremony will be followed by an All-Star Concert at the John F. Kennedy Center for the Performing Arts Concert Hall on January 7, 2015, which will be packaged for a national primetime broadcast to coincide with the 150th Anniversary of Abraham Lincoln’s landmark Second Inaugural Address on March 4, 2015. This special concert will gather the entertainment community to celebrate our military, veterans, wounded warriors, caregivers and military families, while saluting the Lincoln Award Recipients. For more information, please click here. Veteran Award for outstanding achievement and excellence by a veteran in providing aid and opportunities to other veterans – Despite a gunshot wound to the head in Iraq, Constantine has made significant and outstanding contributions to veterans and wounded warriors through his fundraising, leadership, personal advocacy for individual veterans in distress, community outreach, peer mentoring, and pro-bono speaking and media appearances. Over the past eight years, he has raised more than $200,000 for veteran-related non-profit organizations. Citizen Award for outstanding service and support to veterans by a private citizen – Fisher is Chairman and CEO of the Fisher House Foundation. Founded in 1990 by his late uncle Zachary Fisher, the Foundation constructs “comfort homes” for families of hospitalized military personnel and veterans. The program has built 64 houses in the United States and overseas, serves more than 22,000 families each year, and has saved more than $200 million in lodging and travel costs since inception. Public Service Award for outstanding achievement and excellence in providing opportunities and support to veterans by a government employee – Garrick is a social worker, U.S. Army veteran and policy analyst whose own military and clinical experiences inspired a 28 year career focused on educating and advocating for service members, veterans and their families and advancing treatments for post-traumatic stress disorder (PTSD). She currently serves as Director of the Defense Suicide Prevention Office. Medical and Science Award for outstanding service to veterans by a member of the medical or scientific community – The inventor of the Segway, Kamen has revolutionized the world of prosthetics with his bionic arm invention. The “Luke Arm” is one of the most advanced robotic prostheses ever built and is already improving the quality of life for our nation’s wounded warriors. Heart recipient Douglas H Kinard Jr., since 2010. After working with the Department of Veterans Affairs for more than 15 months to get her husband’s service animal – SD Gunner – approved, shefounded the SD Gunner Fund in 2014 to assist veterans and disabled children with the financial expense of owning service animals. Kinard frequently speaks at schools and other community organizations to raise awareness about PTSD, service animals, and caregiver support. Entertainer Award for outstanding achievement and excellence in supporting and giving back to veterans by an entertainer – Springsteen has been a strong supporter of veterans and the military family for decades, dedicating his time and talents to several organizations, including Vietnam Veterans of America and Stand Up for Heroes (Bob Woodruff Foundation/New York Comedy Festival), among others. 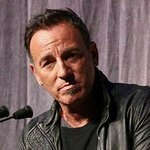 Springsteen’s commitment to veterans has also been expressed in themes that run through the songwriter’s extensive body of work with songs like “The Long Walk Home,” “Lost in the Flood,” “Devils & Dust” and “The Wall.” His music inspires and touches the lives of millions of military families. Non-profit Citizen Award for outstanding achievement and excellence in providing opportunities and services to veterans by a not-for-profit company or organization – Team Rubicon deploys veterans and first responders to disasters around the world, supporting not only local communities in their greatest times of need but also empowering veterans who are searching for a sense of purpose after their military experience. Corporate Citizen Award for outstanding achievement and excellence in providing opportunities to veterans by a company or organization – Walmart has a rich history with veterans, those continuing to serve, and military families, which began with Captain, U.S. Army, Sam Walton, who founded Walmart more than 50 years ago. Through the years, the legacy has been enriched by countless others and the 100,000 veteran associates and 150,000 veteran family and military family associates who are part of the current generation of Walmart. Artistic Award for outstanding achievement and excellence in portraying the veteran experience through the arts, film or literature – Through her writing, Williams raises public awareness for the betterment of her fellow veterans and civilians alike, as she works to bridge the civil-military divide. Williams has released two memoirs – Love My Rifle More Than You: Young and Female in the U.S. Army and Plenty of Time When We Get Home: Love and Recovery in the Aftermath of War. Standard Bearer Award for outstanding lifetime achievement and excellence by a veteran in exemplifying selfless service – Now 82 and going strong, Retired Rear Admiral Young has been an active volunteer throughout his entire adult life. He served 35 years in the U.S. Navy, both Active and Reserve, and was awarded the Legion of Merit Award three times, one of the highest peacetime awards a Navy Reservist can receive. Admiral Young received the National Navy League’s John Paul Jones Inspirational Leadership Award in 1988, the only Naval Reservist to ever receive the National Navy League’s highest award. The Lincoln Awards Selection Committee includes Paul “Buddy” Bucha, Executive leader, Congressional Medal of Honor Recipient; Rajiv Chandrasekaran,Washington Post National Editor; Gen. Peter W. Chiarelli, retired United States Army General who served as the 32nd Vice Chief of Staff of the U.S. Army; Hon. Max Cleland, former Veterans Affairs Administrator; Hon. Scott Gould, former Veterans Affairs Deputy Secretary; Dr. Vivian Greentree, SVP, First Data Corporation and co-founder of Blue Star Families; Michael Gyure, Executive Director, Friars Club and Friars Foundation; Dr. Anthony Hassan, Director, USC Center for Innovation and Research on Veterans and Military Families; Dr. Michael Haynie, Executive Director, Syracuse Institute for Veteran and Military Families; Jerry Lewis, Academy Award-winning director, producer, writer, actor and philanthropist; Admiral Clyde Marsh, President, National Association of State Directors of Veterans Affairs; Hon. Jim Peake, MD, former Veterans Affairs Secretary; Ned Powell, former Veterans Affairs Deputy Secretary (Acting), Former President and CEO, USO; Hon. Anthony Principi, Former Veterans Affairs Secretary; and Nancy Youssef, McClatchy National Security Correspondent. Generous support for The Lincoln Awards is provided by Leonard Wilf, Chairman, Friars Foundation Gift of Laughter for Wounded Warriors Program, as well as founder of the Haven From The Storm Foundation, established to support returning service people, address the particular problems faced by vets today, aid in their recovery and provide assistance for their re-entry back into productive society – and other corporate sponsors. Delta Air Lines is the official airline partner of The Lincoln Awards. “Delta is proud of its longstanding tradition of providing employment opportunities for those individuals who have served our country,” said Delta Air Lines president Ed Bastian. “We continue to partner with business leaders and elected officials to further develop best practices and recruitment strategies. Delta is privileged to be the official airline sponsor of The Lincoln Awards.” Delta Air Lines is the official airline partner of The Lincoln Awards. Join the conversation using @LincolnAwards on Twitter, at facebook.com/thelincolnawards, and by using #lincolnawards2015.